10 Weird Super Powers That'll Make You Say WTF! (2019) | Nerd Much? In many ways, it seems that comic super humans really have it made. They’re gifted with abilities that we could only ever dream of and the majority of them are revered (or feared) by the general public. But while there are many awe-inspiring superheroes and villains in the comic universe, there are more than just a few with powers that do less than impress, and actually, make you think what in the world was the writer thinking? 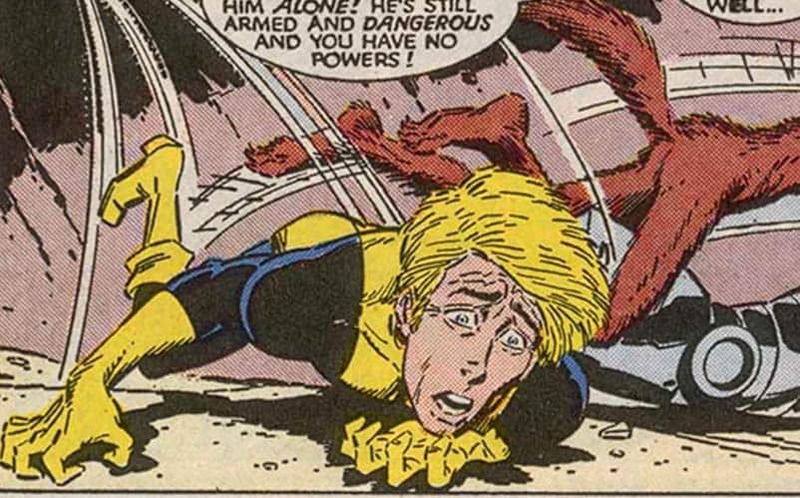 Here’s a list of some weird superpowers found in comic books — some are comical, some seem utterly useless, and some will leave you asking WTF? 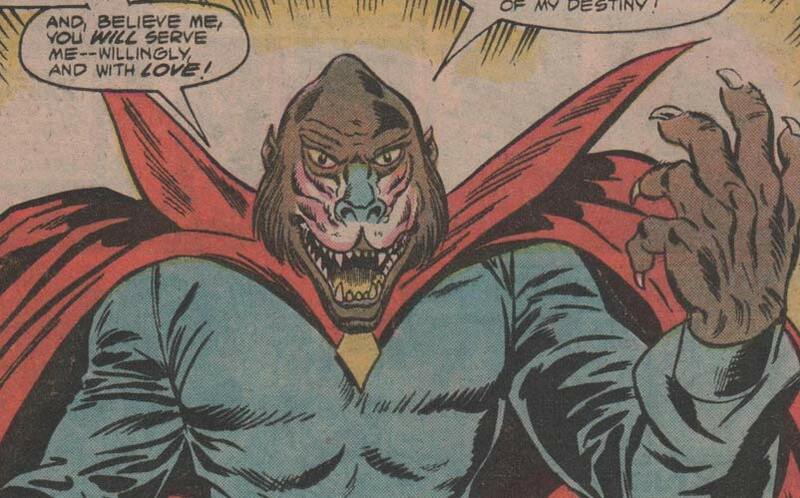 Mandrill’s powers may be all well and good in the dating world, but when it comes to using them to coerce and enslave women to do his evil bidding, well then that’s just plain creepy. He’s said to release pheromones at a rate several thousand times that of a normal human and within a 250 foot radius. 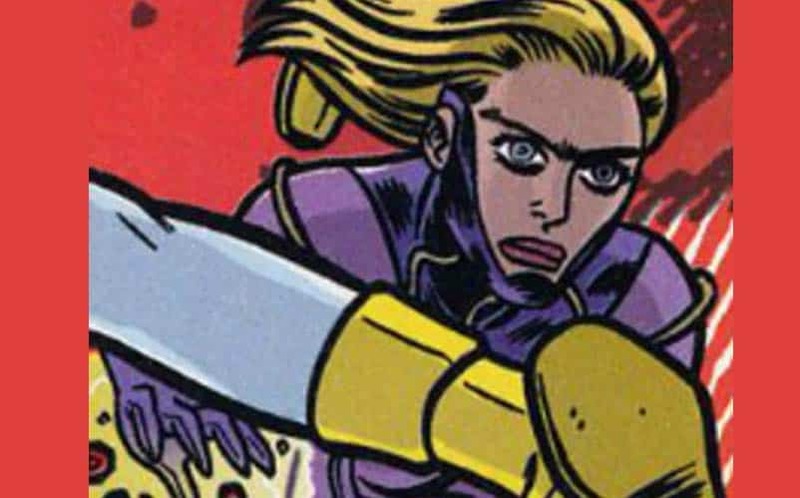 Using his admirers to build powerful all-female anti-government groups, such as Black Spectre and Fem-Force, Mandrill proves that seduction can be a truly powerful weapon. Gin Genie’s powers were both a blessing and a curse — the more alcohol in her system, the more powerful she’d become (yet, not to mention unstable and unpredictable). It was an absurd yet inventive ability, but overall it was a recipe for trouble. There’s no time for blackouts and drunken antics when there’s evil to be defeated. Cypher’s ability doesn’t so much raise the question “WTF?” as it does “What’s the point?” Don’t get me wrong, language translation is an amazing and quite enviable skill in the job world, but out on the battlefield facing dangerous foes, who would really want him as backup? His powers could certainly come in handy behind the scenes, but he’s definitely not going to be any superhero team’s greatest asset. 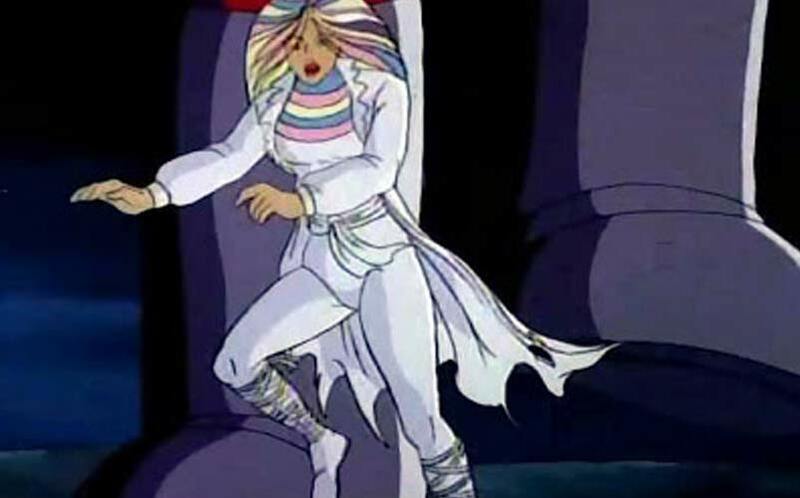 The ill-fated Morlock, Tommy, had the power to make herself as flat as a piece of paper. A cool party trick, no doubt, but what could it really be useful for? Besides slipping into closed doors and hiding in a paper factory, not much else comes to mind. The use of Tommy’s ability sure looked cool but it did little to prevent her death at the hands of the Marauders. An all too literal power for an all too literal superhero. Animal Vegetable Mineral Man’s torso and limbs have the capability to transform into one of three options, even all at once if he so desires. Unlike many others on this list, this power could actually do some good in battle, but this is no doubt one of the more excessive, not to mention ridiculous looking powers out there. 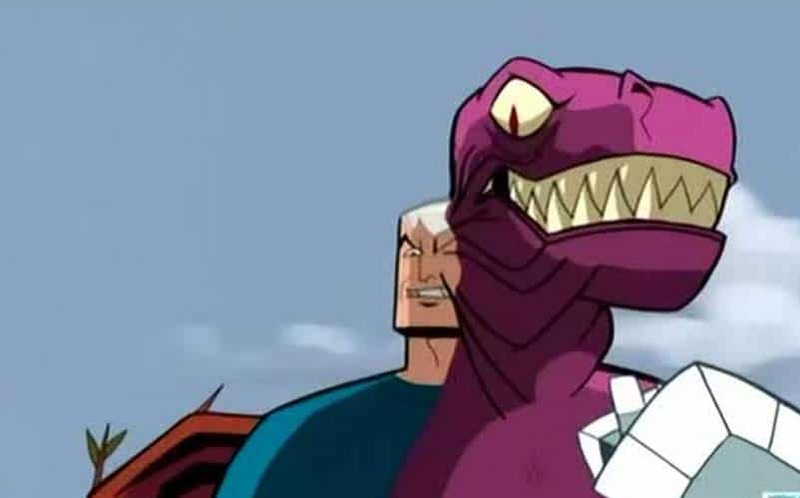 He also appeared in Batman: The Brave & The Bold. The ability to communicate with animals certainly could come in handy, although, the ability to communicate with squirrels? Really? Were all the other good animals taken? 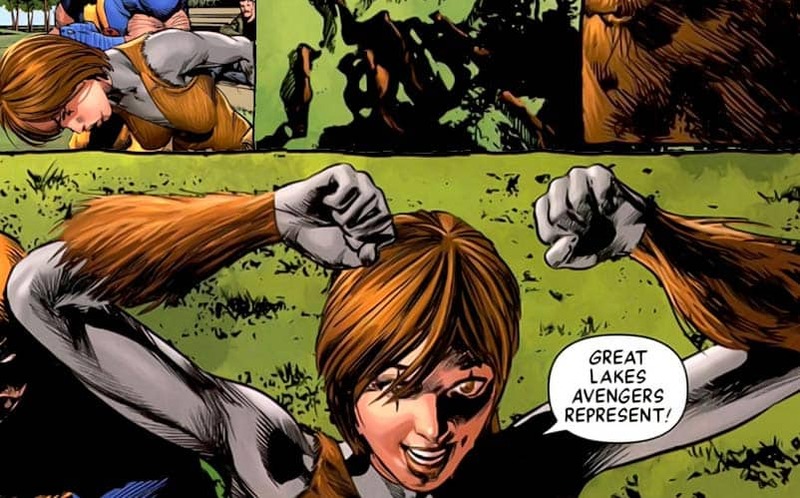 Squirrel Girl can not only communicate with one of the biggest nuisances of the animal world, she does one heck of a job imitating them as well. With sharp claws, enhanced agility, and an inhumanely strong set of chompers, Squirrel Girl brought a real playfulness to the Marvel Universe. Big Bertha doesn’t just gain weight at will — her weight gain actually makes her a stronger, more formidable opponent. 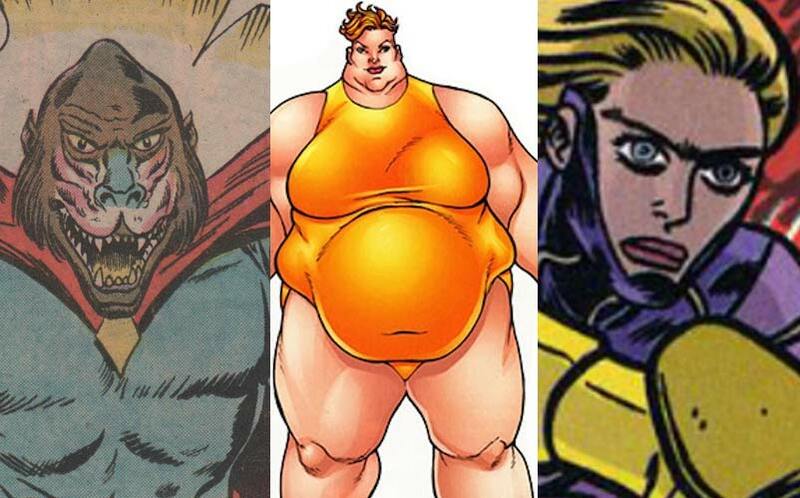 Although instant weight gain is a bit of a “wtf” power in itself, it’s one that turns out to be pretty useful (earning her a spot on the Great Lakes Avengers). It’s how Big Bertha returns to her natural state, however, that’s the clincher. 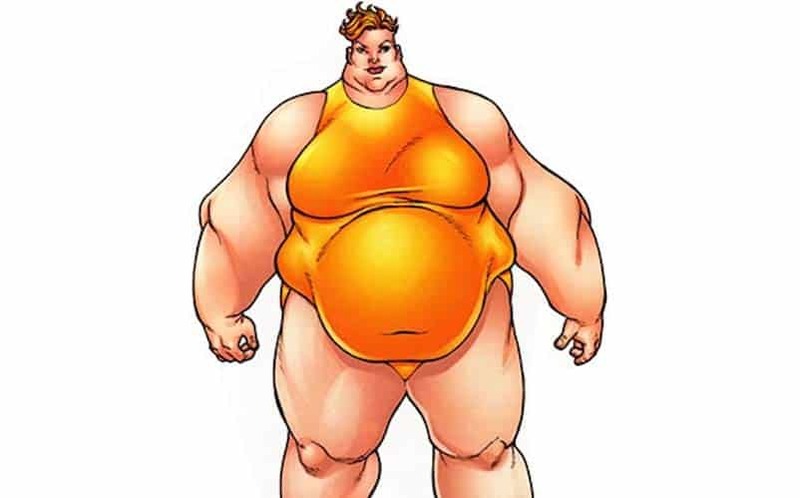 Big Bertha also has the power to purge (gross) the majority of her body fat to instantly become skinny once again. 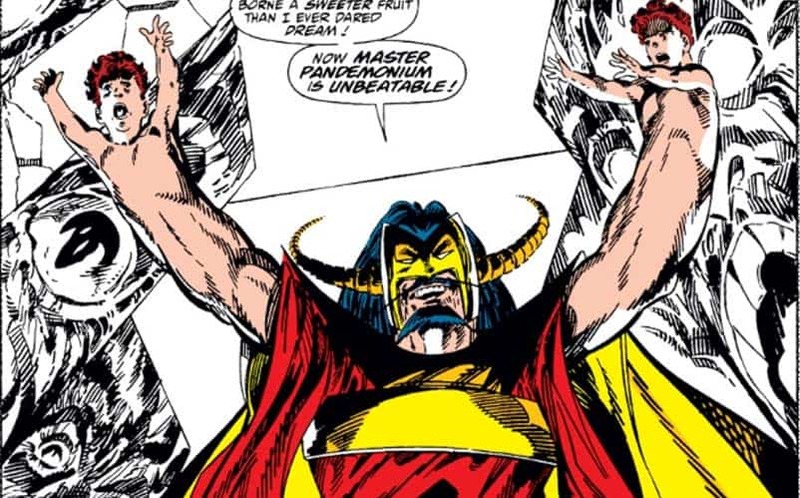 There are two separate facets to Master Pandemonium’s demonic super powers. First, simply put, his body is a vessel full of demons. Second, his limbs are detachable and can each be turned into separate demon entities. Basically, Master Pandemonium is his own one-man horror house. Having a horde of demons at your disposal would certainly make for a powerful villain, but all in all, it sounds pretty inconvenient. Throughout the years this mighty superhero has had an almost endless array of strange powers, and one of the most notable is his ability to perform super ventriloquism. 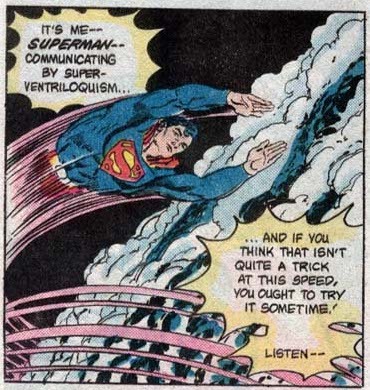 Super ventriloquism isn’t necessary so terrible in itself — it could be beneficial in many situations — but when you have a superpower that sounds so corny, there’s absolutely no need to spell it out every time you use it. 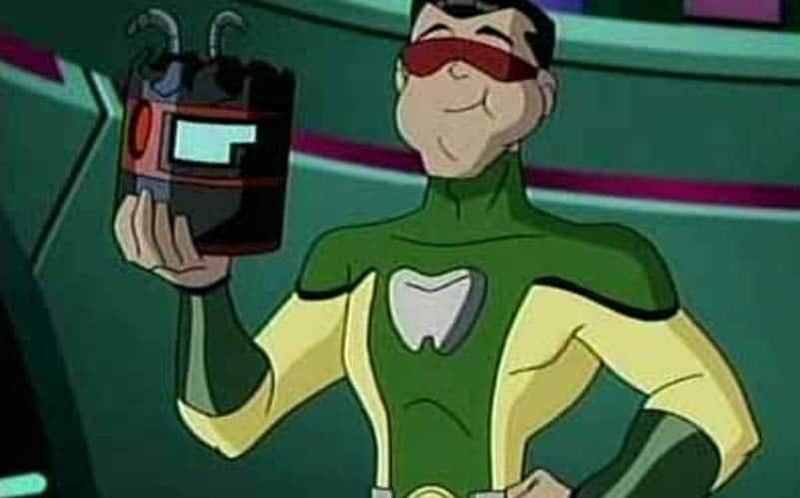 If a villain has you locked up or bound in chains, you’re definitely going to wish you had the weird superpower of Matter-Eater Lad. The ability to consume any type of matter — apparently without debilitating indigestion or copious amounts of weight gain — is both unique and unsightly.